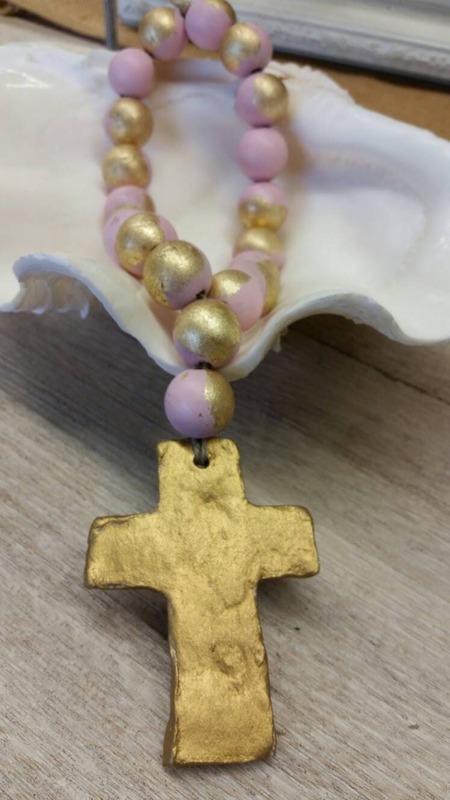 Blessing Beads Wood With Gold Leaf Handmade Clay Cross - Wedding Gift, Baby Gift, Housewarming Gift, Bridal Shower Gift. 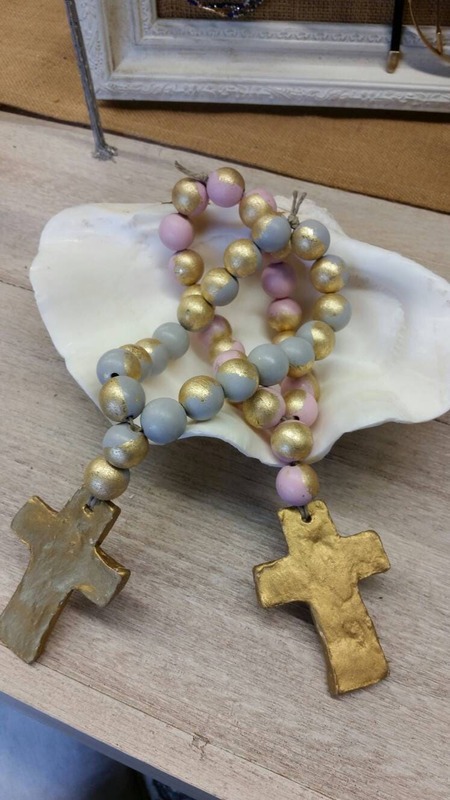 Blessing Beads Wood With Handmade Clay Cross - one-of-a-kind this sentimental accessory lends a fun touch to any space and added cool to your favorite pieces. Drape over a stack of books on a coffee table - put on the corner of a picture frame in a baby's room - or hang from an armoire. I have one sitting on a side table and can't get enough compliments! 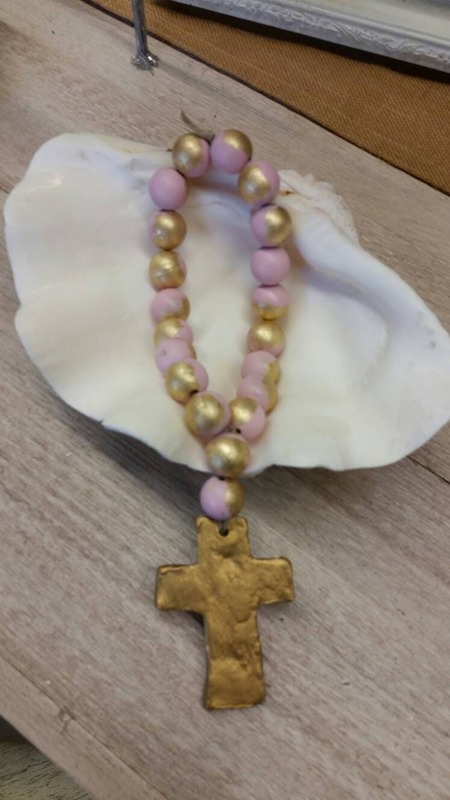 The cross size is 3 1/4"ht x 2 1/2" wide. 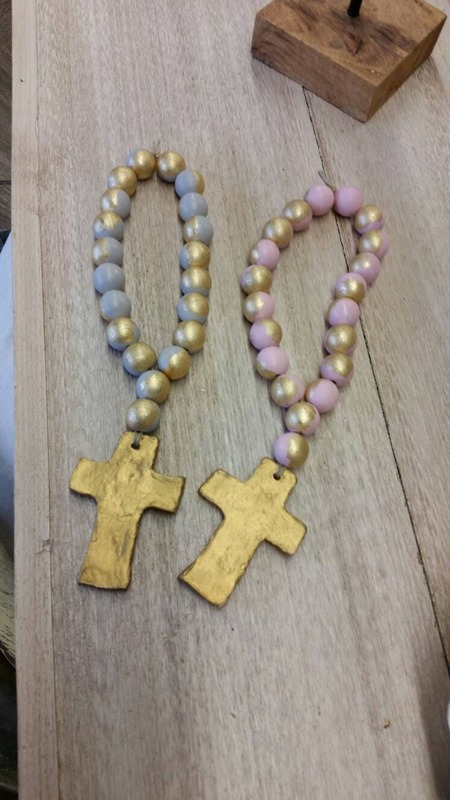 Wood beads are 3/4" in diameter. 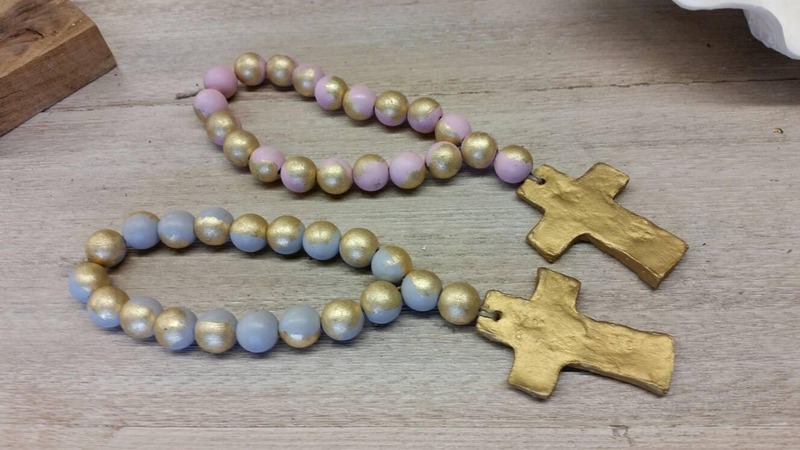 The ones pictured are Grey with gold leaf and Pink with gold leaf. Just comment with color you would like. 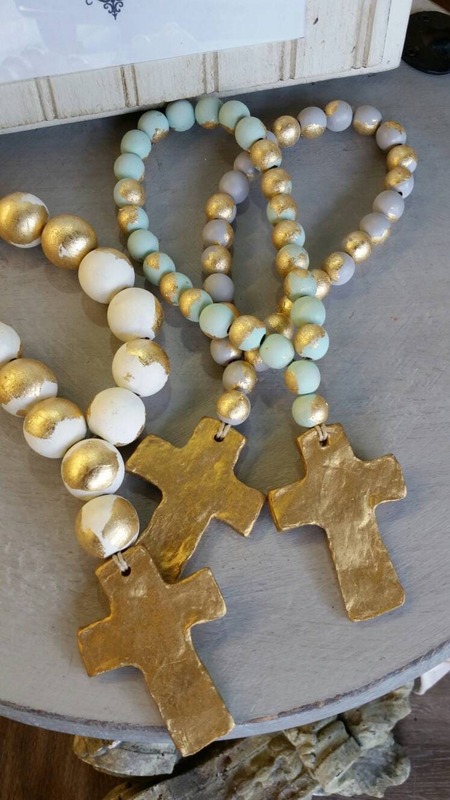 Custom colors are available just ask.